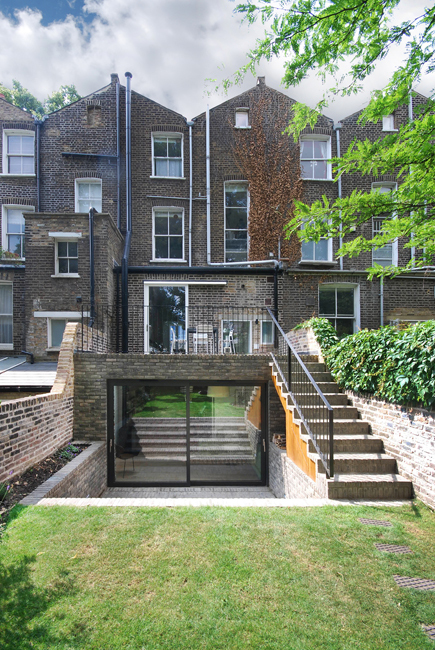 At upper ground floor level a large sliding glazed door connects the kitchen to a roof terrace. 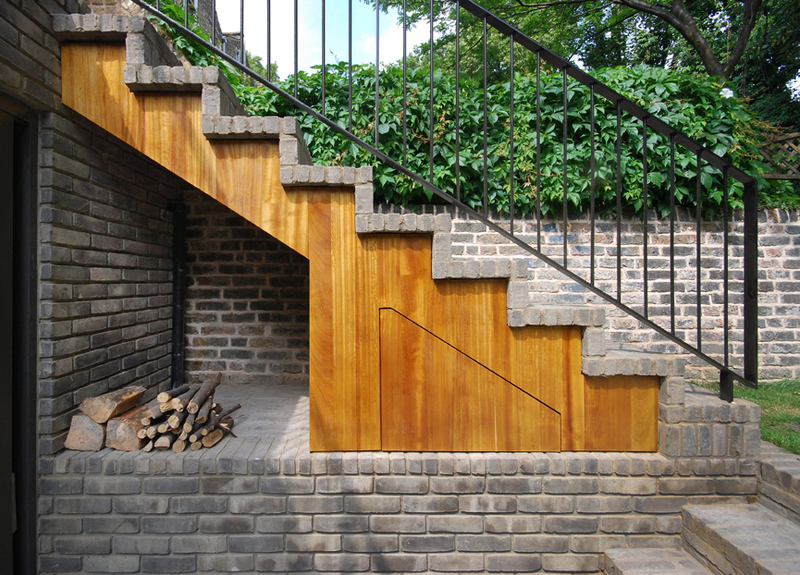 From here, steps lead gently into the garden. 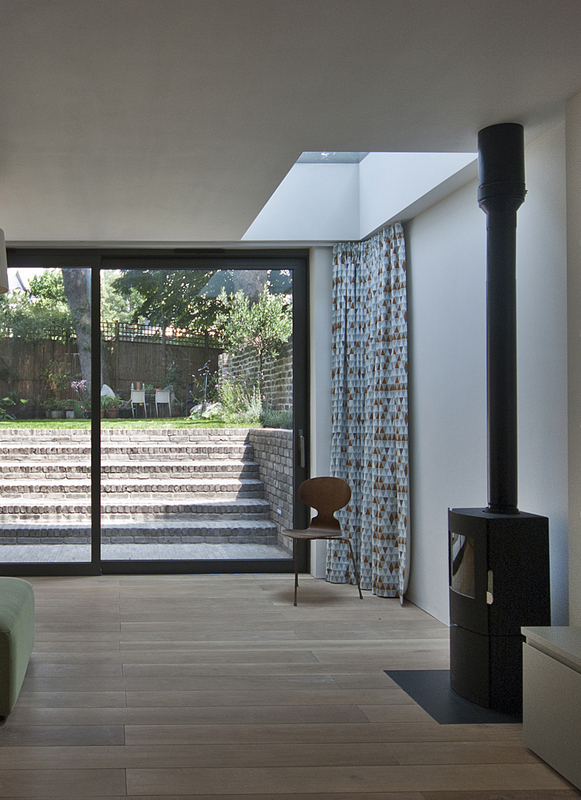 Under the terrace is a family living space. 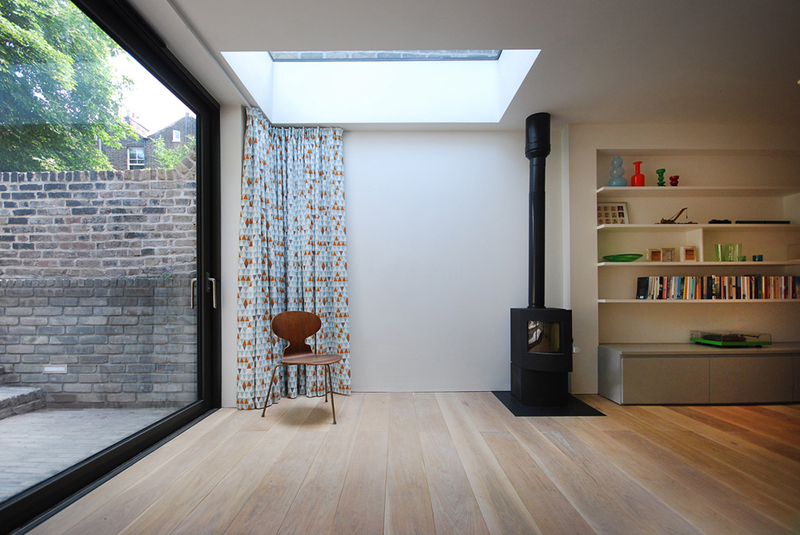 Glazed doors and a roof light provide natural light and a log burning stove provides heat.